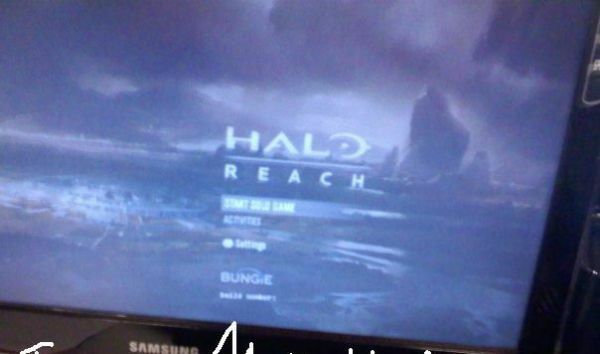 Some blurry images were apparently leaked for Halo Reach. Not much can be garnered from the shots, though we do see at least two new weapons. Graphically it looks like Halo...with a return to the familiar HUD with a radar. The game also apparently uses a perks system with three on display: sprint, cloaking and halogram. And that's about it. This one is still a year away so there's a lot to be seen yet, including a beta for ODST owners sometime next year. There's no details as of yet on co-op play, but with the shadowy figures of four Spartans on the logo - you can bet your MJOLNIR there's gonna be some kickass co-op. Halo Franchise To Become Annualized? Page created in 0.2205 seconds.